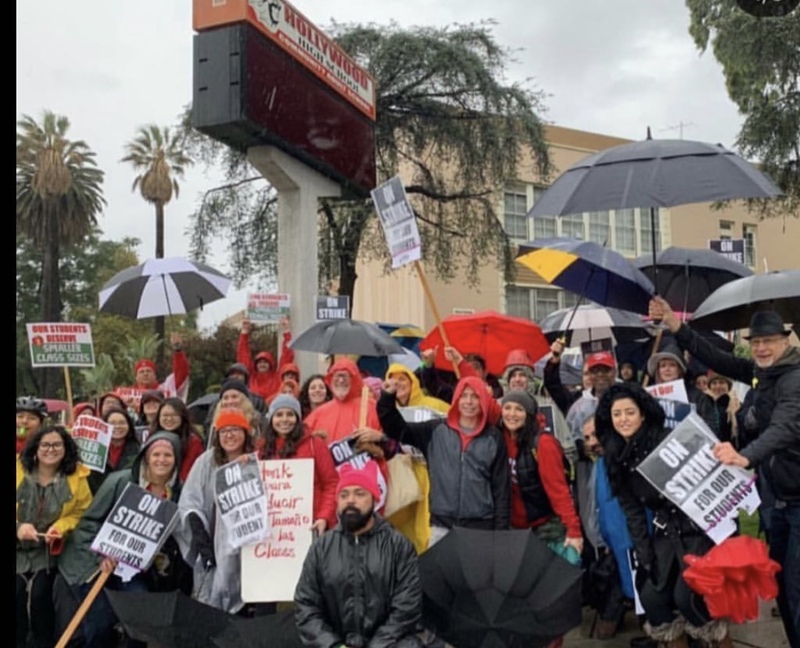 After six days of striking, Superintendent Austin Beutner and United Teachers Los Angeles came to an agreement that could end the strike. If union members vote to approve it, school could be in session on Wednesday. On their journey to improve public education, more than 60,000 teachers, students, and other supporters participated in the first Los Angeles teachers strike in 30 years. In support of UTLA, thousands of parents refused to send their children to school costing the district $97 million. Despite the rain, teachers remained loyal to the strike and were persistent in executing change for their students. The walkout received much support from thousands of people who stood with LA teachers. Educators were demanding smaller class sizes, more school staff, like nurses and counselors, and higher salaries for teachers. Hollywood High teachers had a very strong picket line every day of the week and afterwards made their way to City Hall in downtown Los Angeles. For six days straight, teachers made their voices heard and called for negotiation. Going on strike meant not getting paid for the duration of the protest; however, teachers were willing to sacrifice pay for better conditions in the classroom. On day 6 of striking, UTLANOW on Instagram, presented a tentative agreement that would impact class size. “All secondary English and math classes will go from 46 to 39. This is effective immediately” and “All TK-3 classes will finally be capped at 24-27 students. No more 28+ Elem. classes. Other agreements are pending, but these current changes will greatly impact educational affairs.